Millions of readers have come to value the Conversations with God series by Neale Donald Walsch, which has now been translated into twenty-six languages. Many thousands of those readers have had questions for him--questions about religion, good and evil, physical and mental health, death, prophecy, the nature of God and the universe, prayer, angels and devils, spiritual paths, relationships, and much more. 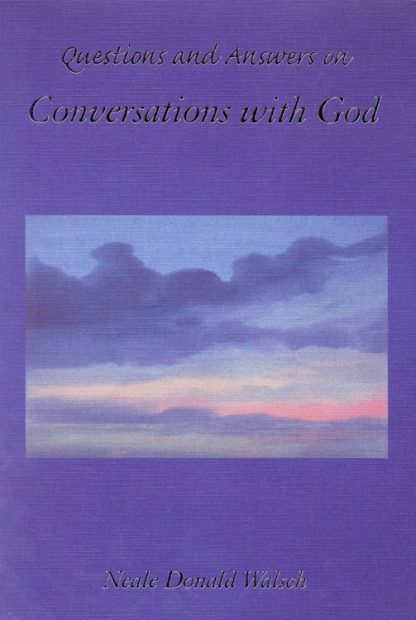 In Questions and Answers on Conversations with God, Neale, with characteristic wit and wisdom, responds to the most compelling and provocative of these letters; and the result is a book that is profoundly enlightening and inspiring. By relating the messages in the dialogues of CWG to the personal issues and everyday experience of individuals, Neale's answers illustrate the direct link between spiritual and physical reality, clearly demonstrating how what we do and who we are in our lives is a result of how we think and what we believe. This book gives us all the opportunity to look at ourselves, to change ourselves, and thus, perhaps, to change the world.